As well as installation we specialise in service calls and general maintenance of Air Conditioners, we service the entire Sydney area and are open 6 days a week, With a reputation built on trust, reliability and professionalism we at M&M Air Conditioning have built relationships with a broad customer base both residential and commercial through recommendation and word of mouth. All work is carried out not as another job, but as if it was our own - all our employees believe in quality workmanship and take great pride in their work. M & M Air Conditioning is a family owned business that has over fifteen years experience and expertise in the air conditioning industry. We are renowned for our workmanship and quality of our installations and maintenance work. We cover all facets of heating and cooling (Ducted Systems VRV, high wall splits, multi split systems, ducted heating and ducted reverse cycle air installation). 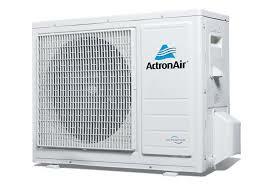 We believe every Australian household needs a good quality Air Conditioner so call us today for a free quote!